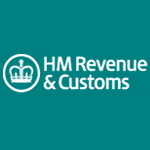 Until yesterday (12th February), UK employers were being told that if they were not submitting payroll returns in ‘real time’ by 6th April they were at risk of a £100 minimum fine from HMRC. Real Time Information for PAYE legislation was first introduced in April last year but there have been various ‘relaxations’ since then to help some of the smaller businesses get to grips with the new processes. As you would expect, we’ve been there every step of the way, chronicling each new development on this blog, but there’s a danger that these changes are causing some confusion for small businesses and being used as an excuse not to act.